Losing a remote control is a universal problem. 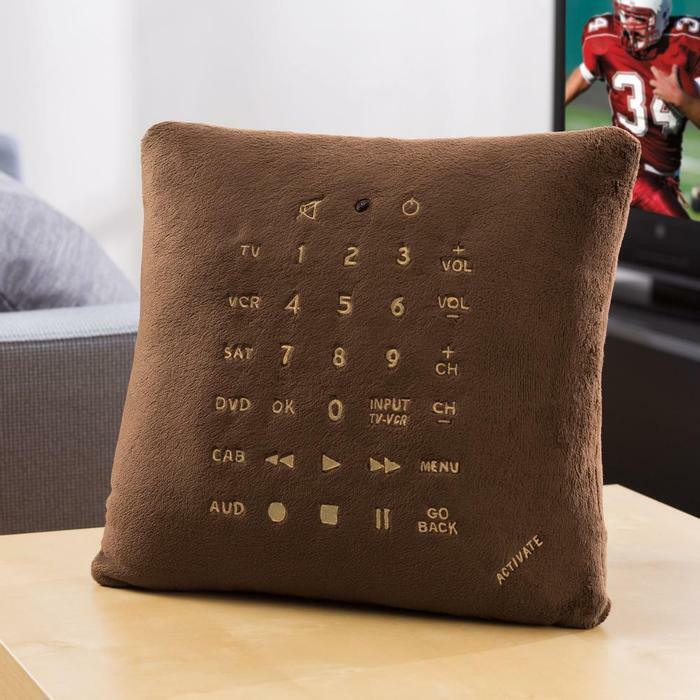 Never will you lose it in between the pillow cushions again, this remote is the pillow! Brookstone’s very own Pillow Remote Control is a great part gag gift, part awesome gift. Giggles aside, this is a 6-in-1 remote for your TV, VCR, DVD, satellite, cable and auxiliary A/V device. Compatible with hundreds of popular brands – just pop two AAA batteries in and you’re good.